How do I request to be rostered for a certain number of hours per week? With RosterElf, you can set requested hours per week which you would like to be rostered each week. Whilst there is no guarantee and the decision will be still up to the discretion of the manager rostering, it will act as a guide to try and share available shift amongst employees based on requests. 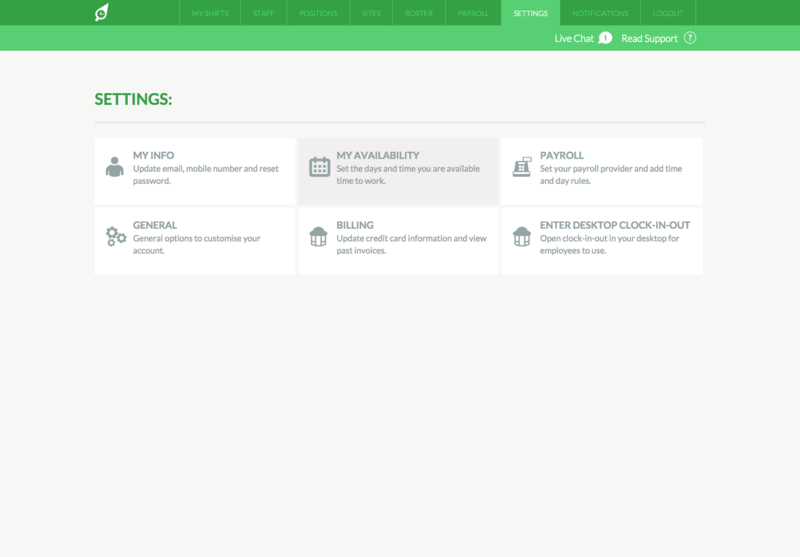 Firstly, click on the "Settings" tab and then click the "My Availability" section. Scroll down and click on the"Requested Hours" section. Simply use the sliding bars to set your requested hours per week, from 0 to 60 and then click "Save".